Help service providers to capitalize on the business opportunity by enabling their enterprise customers to run their IoT networks more securely and efficiently, with relatively low integration costs. IoTSecure is a network-based solution that helps service providers to secure their enterprise customers’ IoT deployments, allowing visibility and control through Behavior Assurance, Behavior Profiling and IoT Security. China Unicom, the country’s third largest mobile carrier, boasts a total of 170 million subscribers, 28 million of whom are in the Guandong Province. Operating a 2G/3G/4G LTE network, China Unicom offers legacy services including voice, instant messaging, and mobile payments, as well as a separate OTT Internet service provided by Tencent for higher bandwidth applications such as WhatsApp and Skype. China Unicom was looking to harness the power of IoT to slash the huge expense being incurred by the Chinese Southern Power Grid Company as they sent employees to collect electricity consumption data across its 33 million homes in Gaundong Province. By integrating low-cost China Unicom SIM cards into customer electricity meters, the China Southern Power Grid Company could, in a matter of seconds, transmit electricity consumption data to their back-end server using minimal bandwidth. The Southern Power Grid Company would save significant OPEX while China Unicom could sell plenty of IoT SIMs. But there was another challenge. The Southern Power Grid Company found that it was possible to extract the SIMs from the meters and insert them into other devices, such as tablets, to enjoy highbandwidth applications. 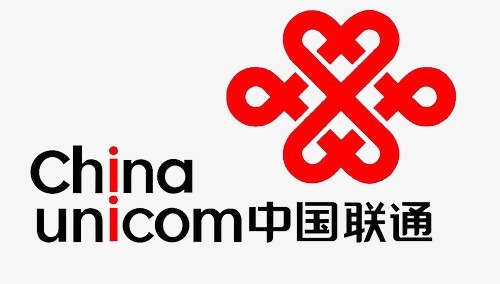 At great expense to China Unicom, the IoT SIMs that they would supply at around 5-6 Cents per month were vulnerable to being used to deliver the kind of mobile Internet connectivity for which they would normally charge $5-10 US per month. China Unicom needed a solution that did not require many man-hours of integrating the Southern Power Grid Company’s control portal with other network resources. Using Allot’s IoTSecure solution, China Unicom could perform machine-to-machine (M2M) traffic Behavior Control by applying policies specifically to the IoT SIMs located in Power Grid’s electricity meters. They could restrict the websites and applications with which each SIM could communicate to ensure that consumer SIMs operated in compliance with their original IoT mandate. Send alerts about any usage anomalies. Thanks to Allot’s IoTSecure solution, China Unicom is helping the Southern Power Grid Company to realize the full cost savings potential from its electricity meters across Guandong Province. For China Unicom, creating new revenue streams in a legacy market was just the beginning. Following its assistance to the Southern Power Grid Company, China Unicom has grown its business by applying Allot’s Behavior Control technology to other IoT use cases including gas meters and Point-of-Sale (PoS) machines across Guandong province. By again applying Allot’s Behavior Policies in an IoT environment, China Unicom could ensure store PoS machines would only send transaction data to designated servers, limit the amount of traffic used by each PoS, and identify misbehaving devices.